Growing food is not an easy task. It requires hard labour, use of new techniques and the latest technology to bring food to our platter. Farming in past many years has seen increased use of chemicals and other pesticides. This not only affects the plantation but also minimizes the nutrition of the soil. Good quality soil is essential to nurture growing edibles. And soil is what gets the most ignorance when it comes to farming. People usually do not pay any heed to the quality of the soil. Soil is a living and dynamic ecosystem in itself. Soil quality matters because good quality soil holds more amount of water, which eventually helps your plants to survive and thrive. Poor and depleted quality soil cannot store water and help the plants to outlive. Improving your soil means improving your crops and overall plantation. Enhancing the quality of soil is easier than you think. It requires little hard work and use of some right materials, to enrich your soil with good bacteria. Stepping on garden soil destroys it tilth, beneficial soil organism and their habitats. To fix poor garden soil problems, establish permanent beds and pathways to clearly define the beds. Permanent beds not only keep the soil in the garden bed loose but also save time and money. Tilling is an agricultural method that helps in quickly losing and aerating soil in preparation for planting by use of mechanical means. By destroying beneficial soil organisms, tilling can also cause the soil to wash away in rain or blow by the wind. This is the reason that using mechanical ways to loosen and aerate the soil is damaging and different from that done through digging fork. A mulch is a layer of material applied to the surface of soil. Mulch holds moisture in the soil. It can also help control the weed. Lastly, as the mulch breaks down it adds organic matter to the soil. Heavier mulches are beneficial in hot and dry climate. Whereas, lighter mulches are more appropriate for cooler and rainy climate. When we harvest the crops, we extract the soil’s nutrition too. To save the soil from getting depleted, it is imperative that you replenish it each year. Garden that needs a boost can benefit largely from organic matter. Organic matter helps improve the soil structure, attract beneficial soil organisms, and make nutrients bioavailable to your crops. Adding organic matter is an easier and inexpensive way of improving your soil quality. Planting cover crops is a powerful way to improve the soil quality in farms. These crops provide organic matter and nutrients, helping in improving the drainage and aeration. They also attract beneficial soil organisms and act as an overwintering mulch. Throughout the year, cover crops can be grown in rotation with any other crops. It is best to plant them during late summers or early fall. Choose a cover crop, which is easier to kill without tilling. Mostly used in permaculture gardens, nutrient accumulators are plant species that reach deep into the soil and collect specific nutrients. They can be used by cutting the plants back and using it as mulch in garden beds. Nutrient Accumulators save money by reducing the number of soil amendments and help improve the biodiversity. Sometimes the best thing you can do is to test your soil to know what nutrients are missing from it. Soil testing can be done via many methods. 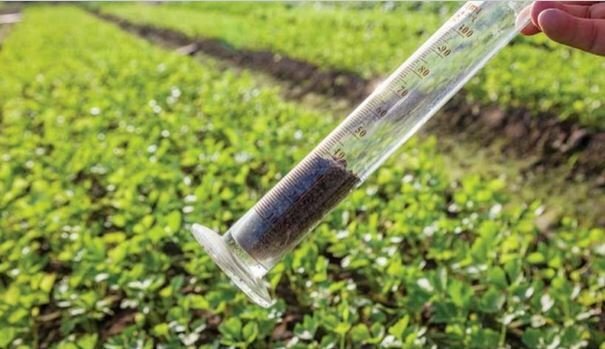 A soil test kit easily available in the market will help you in identifying what all nutrients you need to improve the quality of the soil. 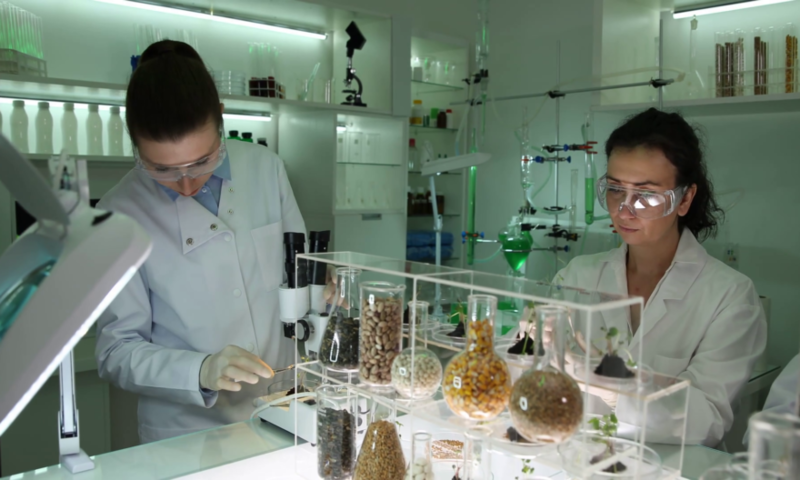 Many soil testing labs are also available to help you do the work. A soil testing company has professional and skilled staff who understand the health of soil in detail. Improving the quality of the soil not only helps you grow healthy crops but also saves money and time. Quality soil can store water, which can help in growing the crop easily. Nutrient-rich soil means less use of pesticides. It helps balance soil surface temperature and regulates the heat content of the soil. By using the above methods or taking help from a soil testing lab, you can improve your soil and make it more healthy and happy!